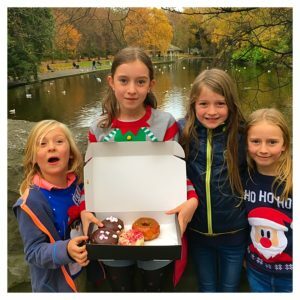 Last Monday morning I woke my children with the news that we were going to skip school in favour of a day in Dublin to see the Christmas lights. Sleepy eyes widened with incredulity and disbelief. My early riser, ever observant, declared that it must be true because ‘she doesn’t even have our lunches made’. 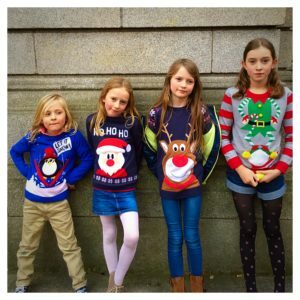 Excitement levels were through the roof and I’ve never known four children to get dressed so quick! Once in the car and ready to go I realised we had reached peak ‘Little House in the Prairie’ status when I looked back and saw three of them knitting in the back of the car ( obviously Laura and Mary were far better behaved and rarely fought so the comparison is ,at the very least, tenuous lol!) We really were the culchies on tour! 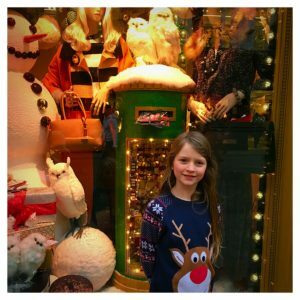 I have very fond memories of being brought to Cork every Christmas as a child to look at the lights and to stare, in awe, at the window of Cash’s . I felt that it was time to start creating some of these kind of memories with my own children. 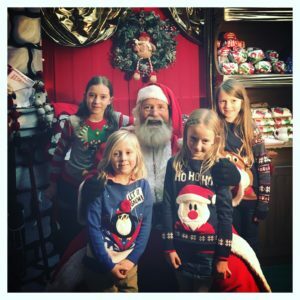 We have done the annual Santa visit in various guises, from the very simple to the full on Santa ‘Experience’ , and we have always enjoyed it but this year I wanted to take a small step back from it. This was motivated by many things but the worry that expectations were in danger of growing each year was high on that list. The image on the front of last Saturdays Irish Times of a homeless woman sleeping under a Christmas themed window was heartbreaking and a timely reminder of how far from the spirit of giving we have gone. I had heard great things about the Santa in St Stephens Green Shopping Centre and so after a quick stop to purchase Christmas jumpers we stopped in to visit him. There was no queue, there was no ( infuriating) charge for adults and there was no BOOMING hohoho. A truly authentic looking Santa spoke quietly to the children, discussed what they had put in their Santa letters and then proceeded to talk to them about what it means to ‘be good’ and why being good just to get a Christmas gift was not in the true spirit of Christmas. It was such a lovely gentle message and the children were in awe of him. Something he said must have stuck because they were super good for the rest of the day. The waiters in Milanos were nearly deafened by the loud outpourings of please and thank yous and the guy working in Rolling Donut probably thought the cast of Oliver had dropped in when four wide eyed and drooling children stood in from him saying meekly ‘please may I have this one’ as they pointed to the mouthwatering donuts on display, unable to believer their luck at being allowed them. The playground in St Stephens Green was visited as we waited until it was getting dark enough to see the lights properly. Grafton Street looked great and there was a long time spent running from window to window at Brown Thomas’ trying to decide which one they liked best. 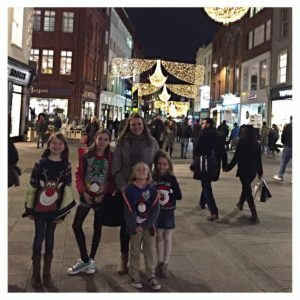 Anyone dining in the centre cafe of Powerscourt Townhouse was treated to a hilarious display of bloggers-on-tour as my kids went up the glass elevator and down the glass elevator and back up again and back down again. All the while with a small boy’s face pressed up to the glass to get the best view! A hot chocolate date with Aunty Jenny and Aunty Ange in the rooftop cafe of Marks and Spencer’s finished off what was declared by all The Best Day Ever. It was a very simple day, made massively more exciting by the fact that it involved missing school, and although we were in the middle of the shopping area it was about everything but shopping, always a winner with me. So go on, mitch from school someday with the kids, you know what they say, what’s rare is wonderful and it’s a day that will be long remembered. Fabulous! 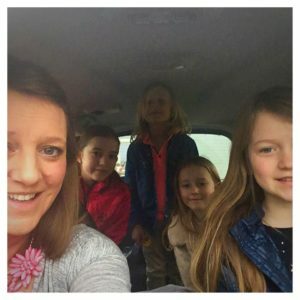 Love the pictures and I may just steal your entire day out to do with my own family! Thank you! Steal away, my only advice would be less donuts, they are fab but oh so filling!!! Aw, love this. My favourite part is Noah’s expression in the donut photo, priceless. Gorgeous pics! 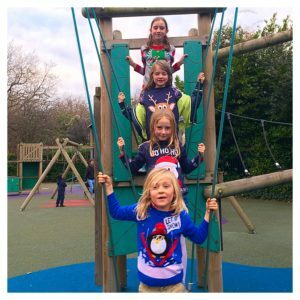 !What a fab family day out-lucky kiddos!